What Effect Does Skipping Meals Have on the Body? It’s rare to encounter someone who has never skipped a meal. Some people skip regularly, thinking that if they eat fewer meals, they’ll take in fewer total calories and lose weight more successfully. Others simply have no food available or no time to eat when they’re hungry. Although skipping a meal on rare occasions is harmless, skipping meals often does have negative health effects. According to the National Institutes of Health, skipping a meal is likely to make you feel hungrier when it comes time to eat next, and this could cause you to eat more calories than you would have otherwise. Skipping breakfast, in particular, has been associated with obesity in several scientific studies, implying that missing a meal can make you so hungry you’ll consume double or triple a normal meal's calories when you eat next. An article published in 2008 in the journal “Appetite” suggests that skipping meals may be associated with lower energy or motivation levels. In the study, researchers tracked eating and physical activity patterns of overweight participants, measuring how much they ate at each meal every day as well as how much they exercised. They found that subjects who skipped lunch or dinner most often burned fewer overall calories and spent less total time exercising than subjects who rarely skipped those meals. According to Columbia University, skipping meals slows your metabolic rate, which explains why it goes hand in hand with burning fewer calories. In 2007, the journal “Metabolism” published a study examining the effects of skipping meals on people who were healthy and of normal weight. Over the course of eight weeks, the subjects skipped two meals every day and ate all of the calories they would normally eat in one big daily meal. At the end of the study, participants had blood sugar levels and insulin responses that put them at a higher risk for diabetes than they had had before the study began. Glucose, which your body obtains by breaking down nutrients in the food you eat, is the primary source of energy for your brain and central nervous system. When you fast for several hours or more, the supply of glucose to your brain dwindles. This can impair your concentration, focus, memory and mood. That’s why students who eat breakfast tend to perform better on tests and activities than students who skip breakfast. Columbia University reports that skipping meals regularly can have health consequences that range from mild to severe. 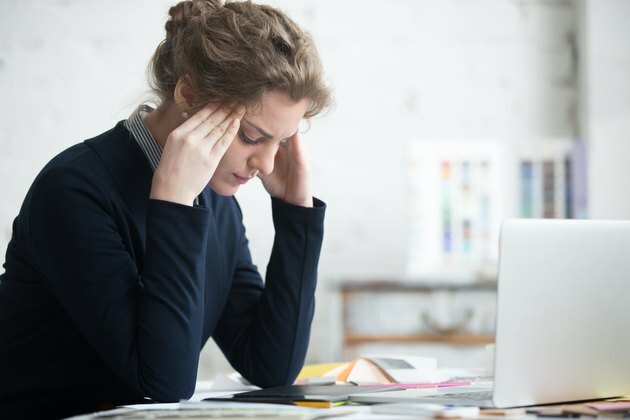 Fatigue, dizziness or fainting are among the most mild; in the long term, you may also notice anemia, bone loss, thyroid function impairment, decreased immunity and worsening dental health. If you’re considering consistently skipping a meal for any reason, see your doctor before proceeding. Columbia University: Will Skipping Breakfast and Lunch Lead to Weight Loss?